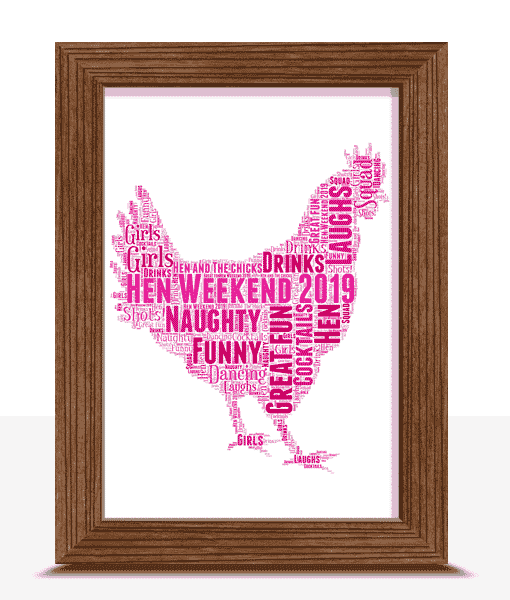 This Hen word art print makes a lovely gift for the lucky bride to cherish in years to come. 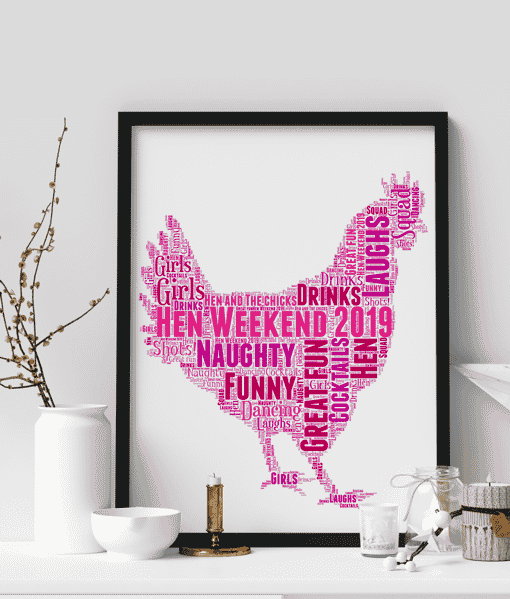 Add all your own words to create a special personalised gift. 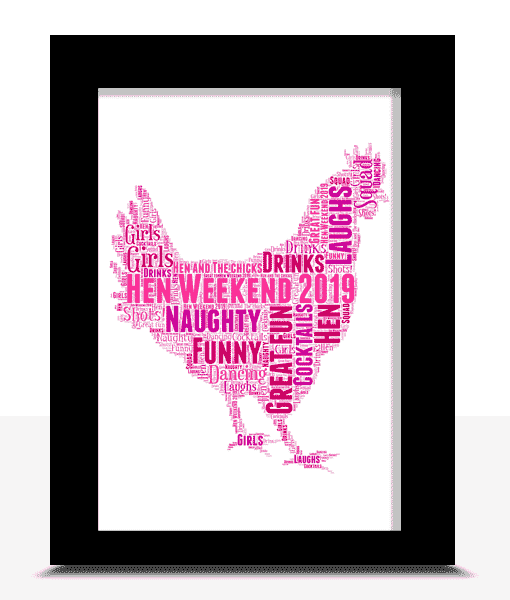 Someone from hartlepool & 1 other recently bought this item. 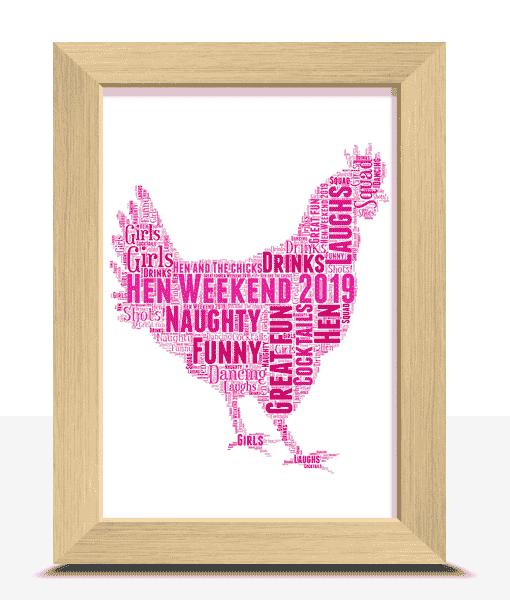 A great personalised gift from friends to give on the Hen Night or after the party. 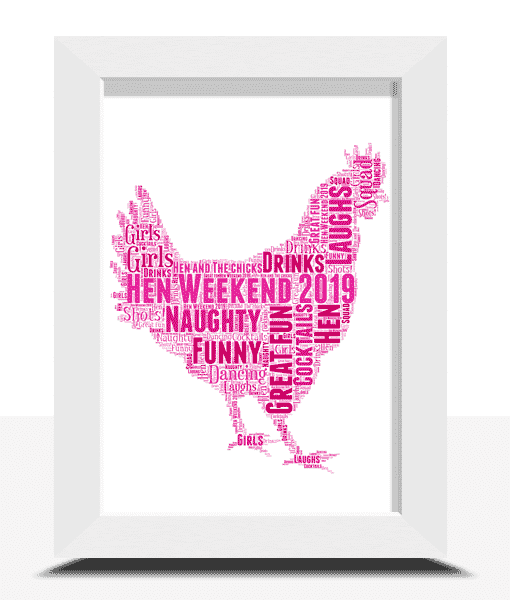 Example: Hen Night 2016, Celebration, Party Time, Great times ahead, Champagne, Adventure, Cocktails, Hen Party, Happiness, Friends.